If you are just starting using LiveChat, these tips will help you get yourself accustomed to the application and the service itself. If you don’t have an account yet, you should create one before going further. There’s a 30-day trial available. If you are an agent, your manager or the person responsible for your LiveChat license should create an account for you. You can expect an email in which you will be asked to set up a password. There are two main ways of accessing LiveChat. You can log to LiveChat using your browser. The address to the app is: my.livechatinc.com. 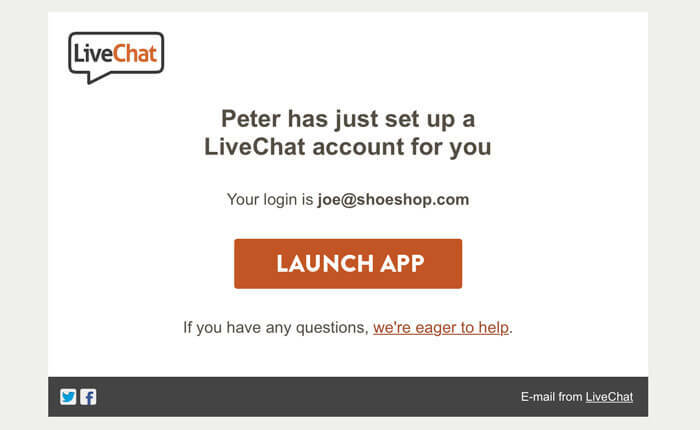 Bookmark it or even set it up as your home page to always have LiveChat readily available. LiveChat also offers native desktop apps for Windows and Mac. Once you install one of the apps, they will automatically run on startup so that you can start chatting immediately. Alternatively, you can use one of our mobile apps for iOS and Android to chat with customers on the go. No matter which application you use, you will need to provide your email address and password. If you are using 2-step authentication via your Google Account, you might need to provide an additional security code that will be sent to your phone. One of the most important things you need to learn about LiveChat are statuses. Your status affects your ability to receive chats. Your status can be changed in the upper right portion of the app. 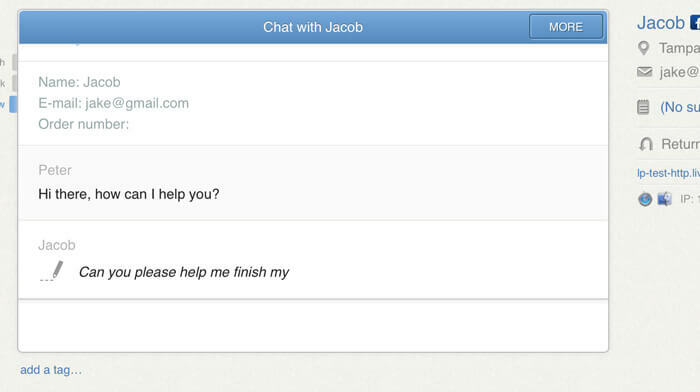 Accepting chats – your receive chats from customers and access other LiveChat features. Not accepting chats – you don’t receive new chats from customers, but you can still talk in existing chats and access other features. Each time you step away from your desktop, you should check your status to avoid leaving it unattended. Same goes when starting your workday. You can access your ongoing conversations in the Chats section. Each circle represents a chat with a customer. Green – a chat that has been answered. Red – a chat that requires an answer. Grey – a finished or an inactive chat. Try to work you way down from the priority chats (Red) where an immediate answer is needed to the less pressing chats (Green) where you’ve either already provided an answer or the question has been just asked. During your couple first chats you might get freaked out a little by the appearing-and-disappearing messages. This is how message sneak-peek works. It shows you what visitors are typing in, even if they don’t send it over. Message sneak-peek gives you more information about your visitor’s way of thinking. You can often deduce what a visitor’s problem is by closely looking at what they are trying to tell you. This portion of the application will tell you a more about your visitors. Depending on your pre-chat survey settings and the integrations you use, you can have different data displayed here. You can use this information to provide more precise and personalized support. The Visitors screen shows all customers who are currently on your website and which pages they are viewing. From here you can start the chat with selected visitors manually. Use the filters to pinpoint customers from high-converting pages like product pages or your shopping cart to help them complete purchases. 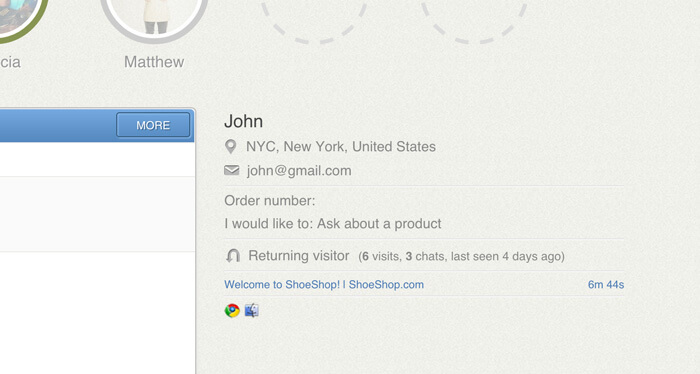 To engage proactively, select a customer from the visitors list and click the start chat button. 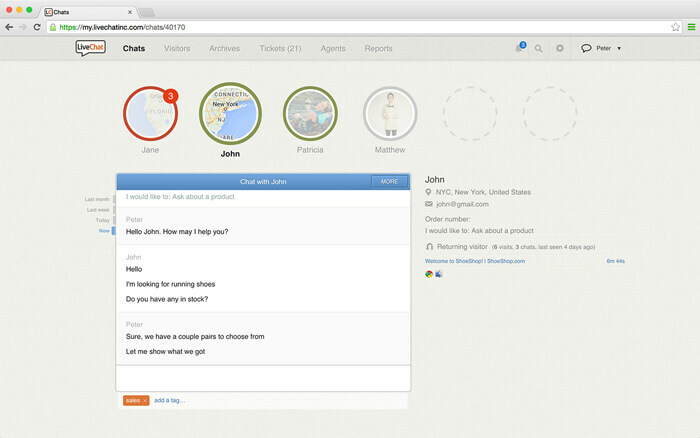 A chat will automatically open on the visitor’s screen. To make the interaction more personal, start the chat with a tailored first message by clicking on send custom message button. 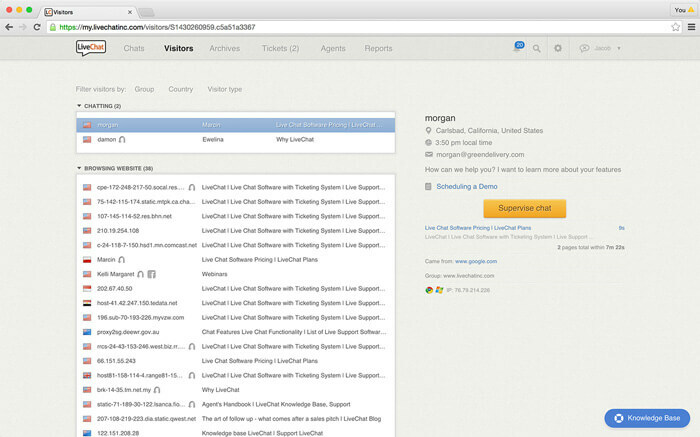 You can use LiveChat to handle customer cases via a built-in ticketing system. You can access your tickets in the Tickets section. There are a couple of ways of getting a ticket. You can create a ticket yourself by clicking on the More button during chat and selecting Create a ticket (or by clicking on the Create a ticket button in the Tickets section). This comes handy when you can’t deal with a case in one touch. Another way of getting tickets is forwarding your support email address to the ticketing system. By doing that, you can receive all your support emails as tickets in LiveChat, which allows you to handle your support form one place. Finally, you can also get tickets from an offline form on your website. The offline form appears on your website when no agents are available for chat. This will help you gather support enquiries even after hours. Open – The ticket is unresolved and needs your attention. Pending – Use this status when you need to ask the customer for more information. Solved – You’ve answered the customer’s question and the case is closed. Spam – Mark all spam messages with this status to exclude them from your metrics. Make sure to check our Agent’s Handbook for more detailed information on using LiveChat. It will give you more insight into using our applications for customer service. Apart from the handbook, you can also use our Knowledge Base to look up articles on various features and aspects of LiveChat. Finally, if you can’t find an answer to a question yourself, we are always eager to help. Simply open the chat window and ask us a question. 91% of people found this helpful.